From the comfort of your private balcony, your breath will catch as the jagged green peak of Bora Bora’s Mount Otemanu seems to rise from the South Pacific Ocean. This is only one unforgettable moment on the m/s Paul Gauguin, the longest continually sailing cruise ship to travel these waters. Each day, visit smaller ports unreachable by larger vessels, and uncover the spirit of French Polynesia from the land to the sea. Begin your memorable French Polynesia adventure by connecting with its people. On board every voyage, Les Gauguines and Les Gauguins are your thoughtful hosts, sharing their land’s legends through enchanting dance and song performances. They even join you ashore on Motu Mahana, demonstrating the art of opening a coconut or tying a pareo (wraparound skirt). Experience island romance within this culture as you take part in or view a Tahitian blessing ceremony and — if your taste for culture isn't yet satisfied — opt for a shore excursion on Bora Bora that includes a savory Polynesian feast prepared in a traditional earth oven. The water comes to your level on Paul Gauguin Cruises’ specially designed marina platform. 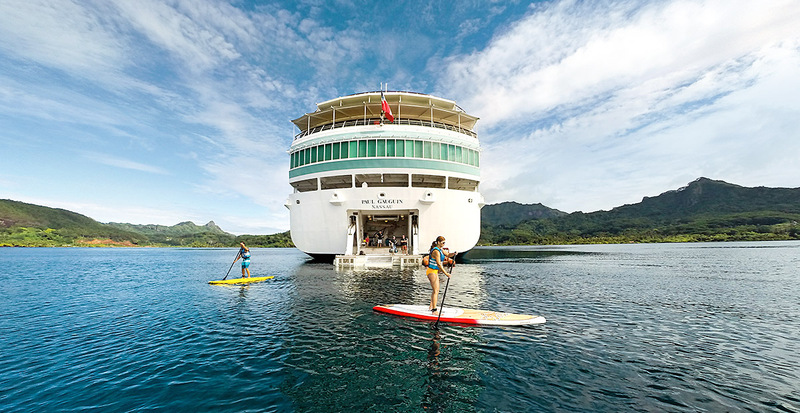 Located at the back of the ship, the onboard marina makes it easier than ever to climb aboard a kayak, windsurfer or stand-up paddleboard to skim over translucent waters and vibrant coral reefs. 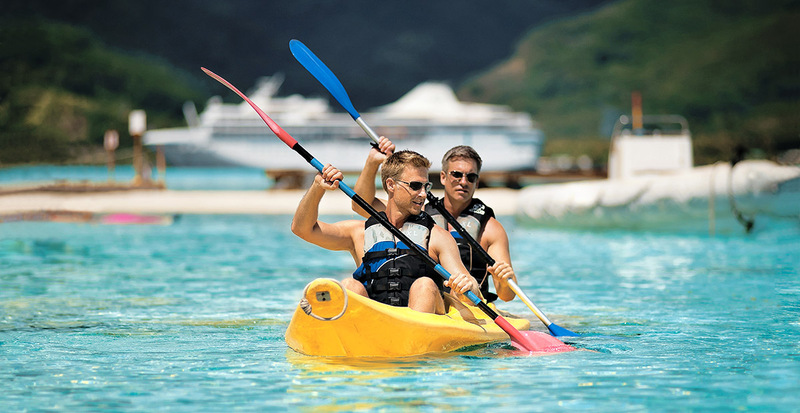 Complimentary equipment is also available to you on private beach excursions on Bora Bora and Motu Mahana. Feel a mixture of pure serenity and excitement as you behold the palm-fringed beaches and surrounding seas of Motu Mahana. Make this private island your own, whether that means jumping into its waters, snorkeling alongside a school of tropical fish or kayaking beyond the shoreline into the deep blue hues of the ocean. 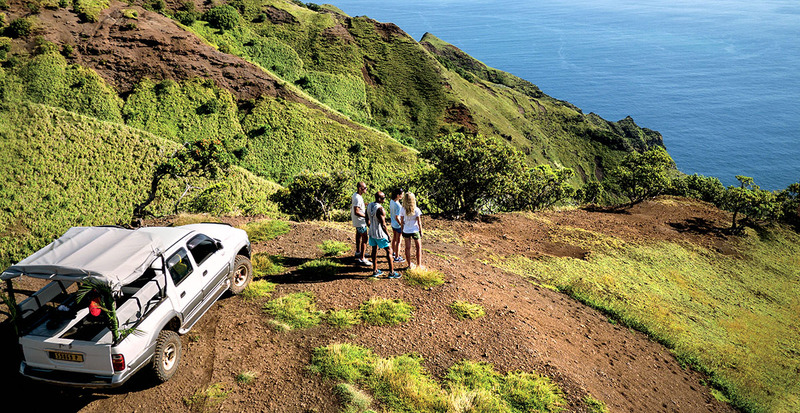 Venture inland from the pristine white-sand beaches to the wild and lush side of island life. On Mo‘orea, join an off-road safari to discover nature’s treasures: fragrant vanilla, ripe bananas, and colorful grapefruit and pineapples. Take adventure into your own hands on an ATV tour of neighboring Huahine Nui, and in Taaoa Valley, discover archaeological ruins where ancient tribes once lived, reachable only by off-road vehicle or on foot. 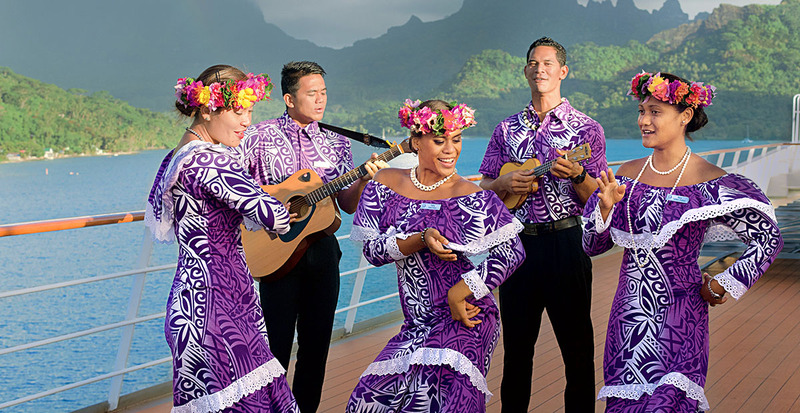 From French Polynesia to the Marquesas Islands and Fiji, the Pacific is calling with Paul Gauguin Cruises. We’ll complete your vacation by reserving a few nights in a luxury overwater bungalow along with complimentary breakfast and other special privileges.